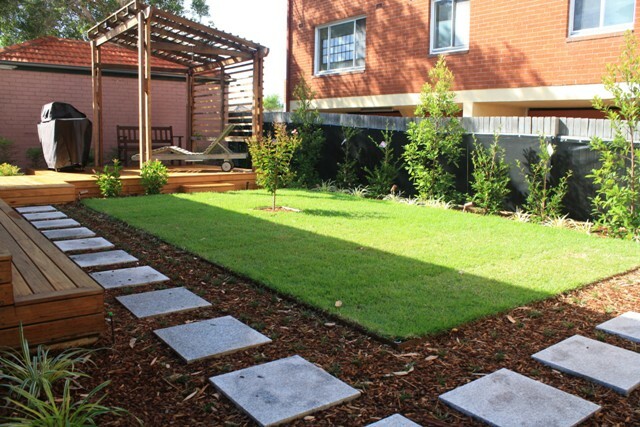 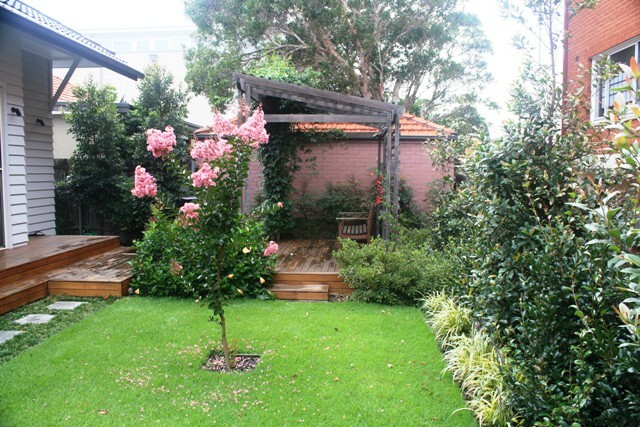 A garden for a busy family that is manageable, and yet provides a space to be enjoyed through a bit of quiet solitude or entertaining friends, without the spectre of endless maintenance. 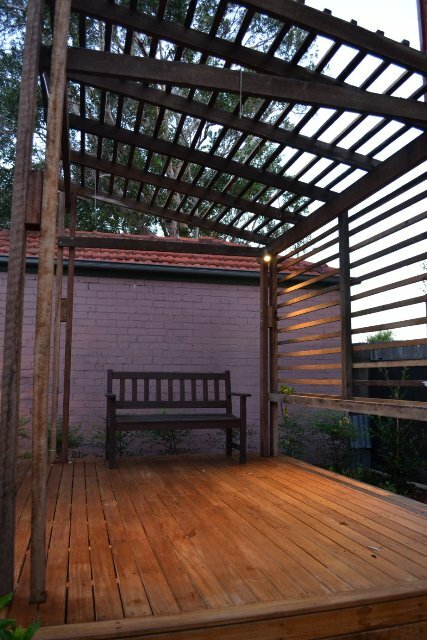 Featuring a raised hardwood deck that provides convenient access from the house and a place to entertain friends. 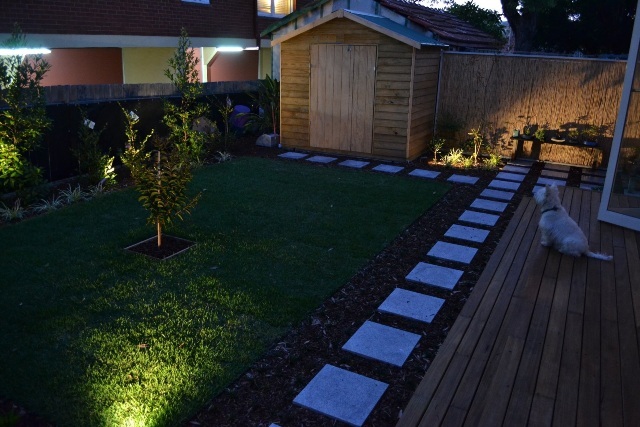 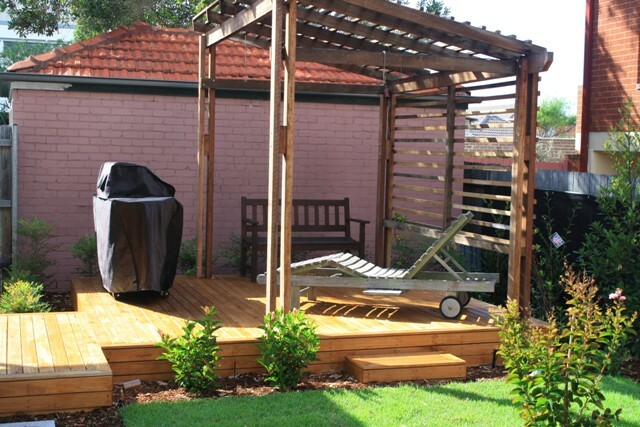 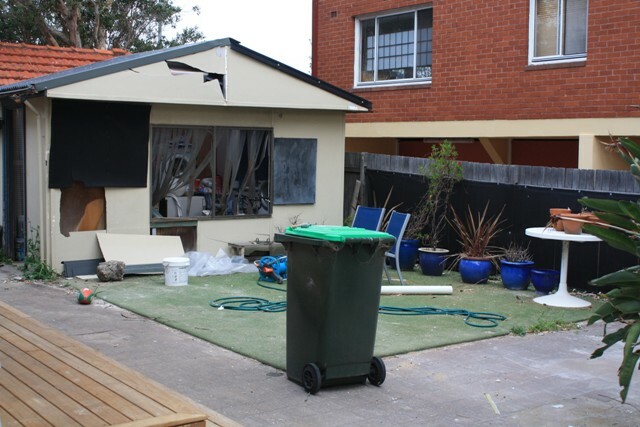 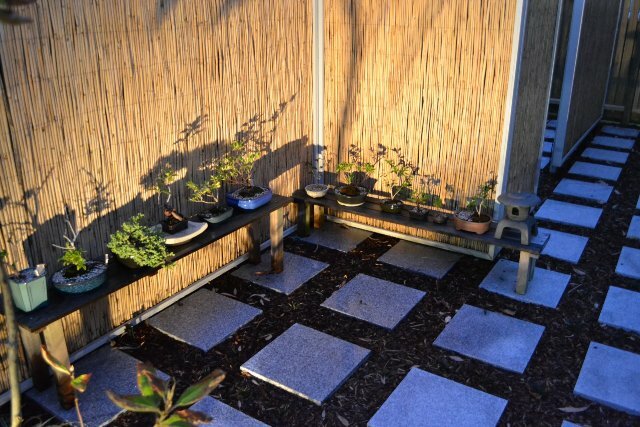 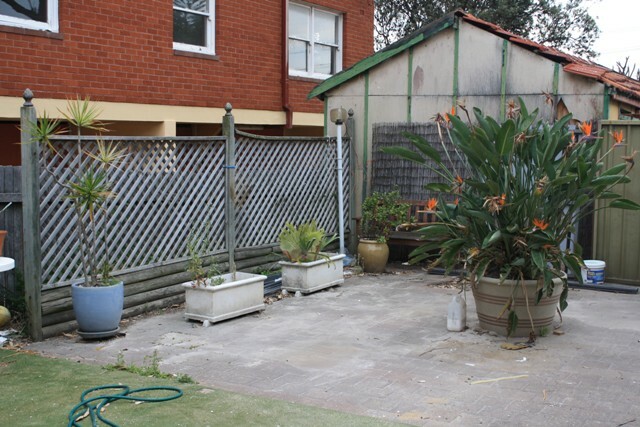 Privacy concerns were addressed with the installation of a pergola that has been constructed with recycled hardwood, and screen planting along the fence line. 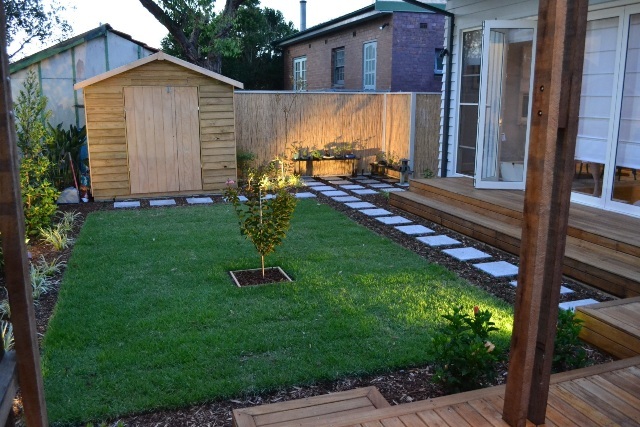 Features: open sun-soaked design with a deck to catch the afternoon rays, large ‘King’s Pride’ lawn with a Crepe Myrtle to provide shade in summer, garden shed for extra storage, attractive framed bamboo screen to hide the old Colourbond fence, screened off clothes line located in the side passage, automatic irrigation system and garden lighting.